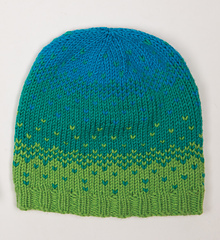 This pattern is currently exclusive to Patternworks. 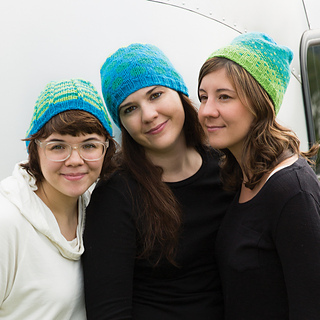 This trio of hats makes a great gift for friends and family members! 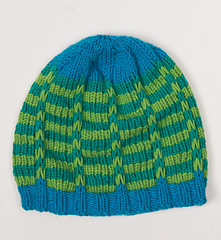 Just three skeins of soft and sturdy Aprés Ski yarn (70% wool/30% nylon) are enough to knit one of each style. 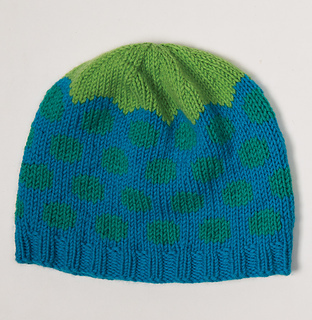 The Broken Stripes hat features a slip-stitch colorwork pattern, the Dottie hat shows off a bold polka-dot design, and the Twilight hat gradually blends each color into the next. Also available from Patternworks as a kit in three different color combinations.